Celebrate the abundance of seasonal cauliflower with this unique spin on a classic dip. This roasted garlic and cauliflower hummus is sure to become a new kitchen staple, not to mention a batch-cooking favorite to snack on all week long. Hummus is a crowd favorite. 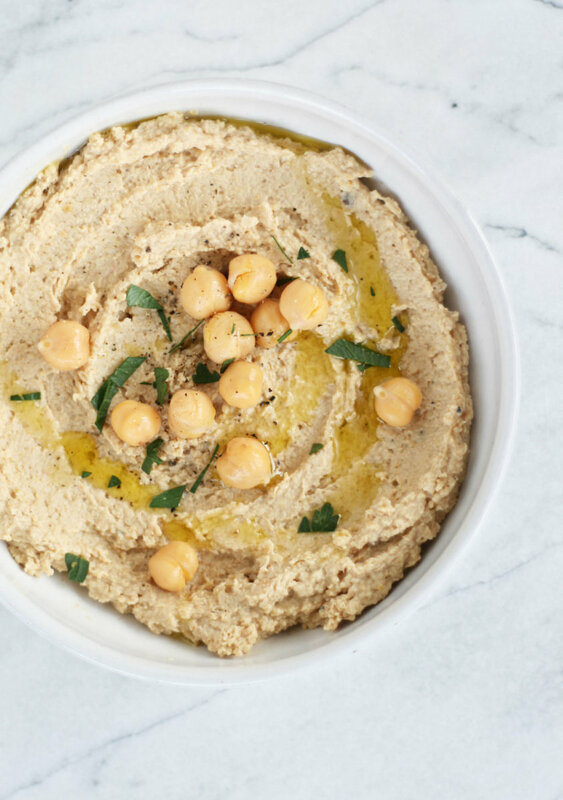 Not only is it perfect for snacking and entertaining, hummus is packed with fiber, protein, vitamins, and minerals. 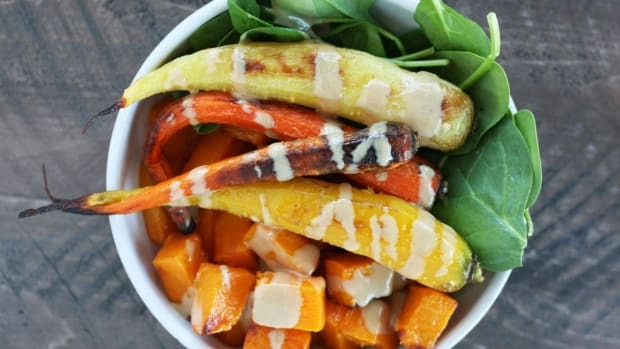 This recipe is a unique spin on hummus, as the majority of the dip is from roasted cauliflower, as opposed to chickpeas as in classic hummus. Cauliflower, along with other vegetables like kale and Brussels sprouts, is a member of the brassica family. Brassica vegetables are noted to prevent oxidative stress, induce detoxification enzymes, stimulate the immune system, and reduce the spread of cancer cells, according to this 2012 study. 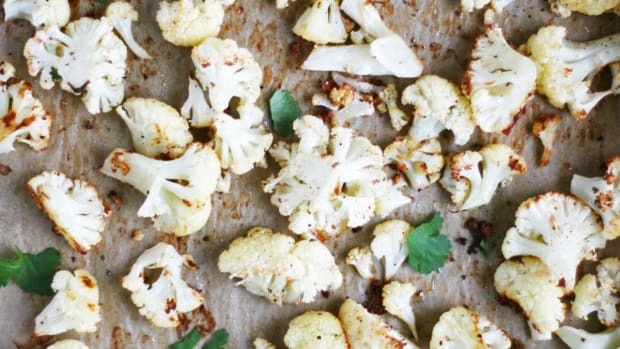 Roasted cauliflower is a delightful and savory way to enjoy this brassica. As opposed to raw cauliflower, which can be a bit pungent, roasted cauliflower is incredibly flavorful. 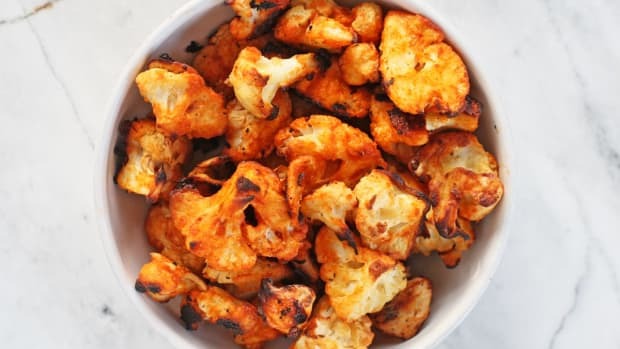 In this recipe, cauliflower is roasted alongside garlic in avocado oil or ghee until tender and crisped. Roasted cauliflower and garlic are then combined with tahini, chickpeas, lemon juice, and olive oil to create a savory, smoky dip. 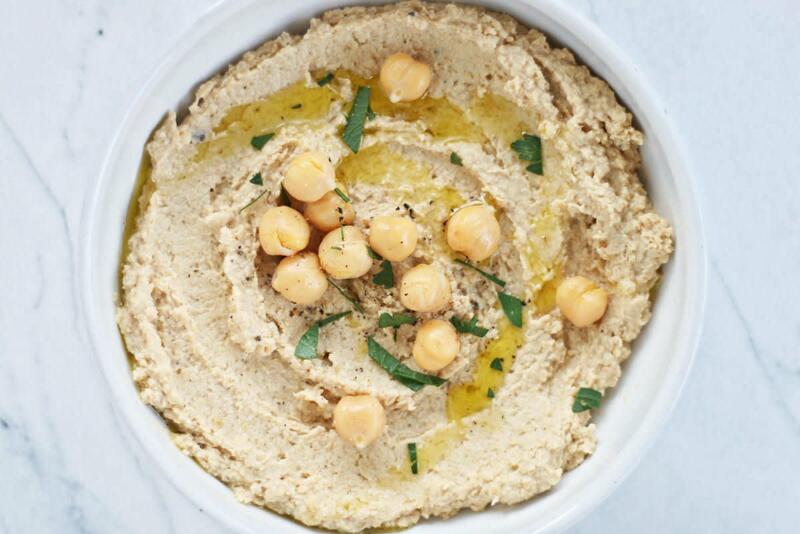 Tahini, which is blended sesame seeds, adds essential nuttiness as well as ample amounts of calcium, B vitamins, and vitamin E.
Chickpeas provide protein and fiber as well as extra creaminess to this roasted cauliflower hummus. A splash of fresh lemon juice adds brightness and depth. 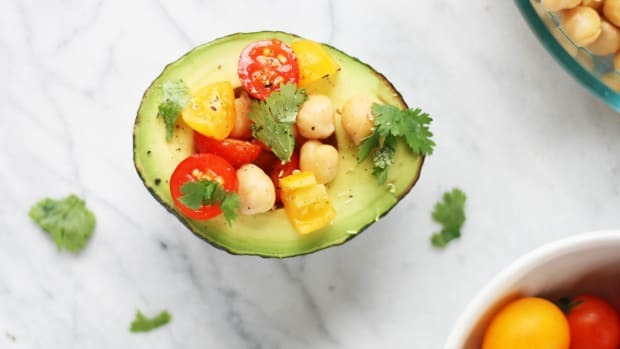 Finally, a few spoonfuls of extra virgin olive oil gives this recipe a dose of healthy fats and additional antioxidants. 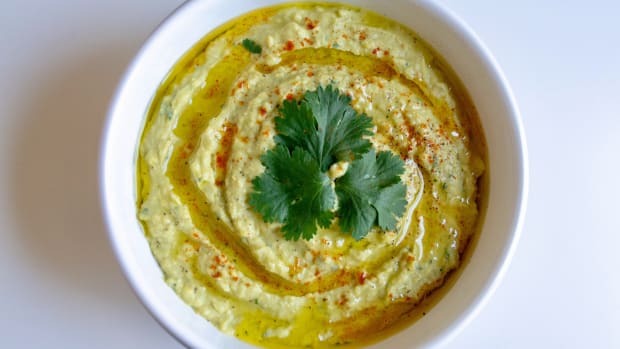 Blended all together, this roasted garlic and cauliflower hummus is simply perfect. 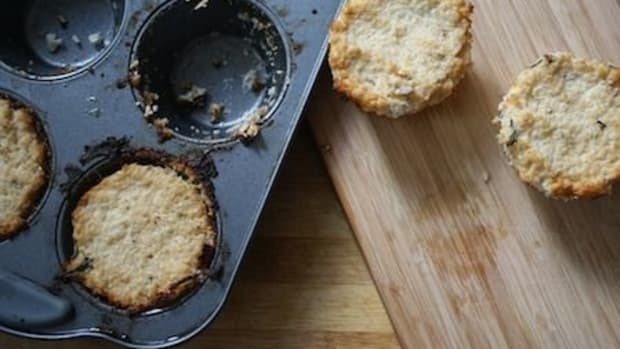 Toss cauliflower and garlic cloves in avocado oil or ghee and add to lined baking tray. Sprinkle with sea salt and pepper. Roast cauliflower and garlic for 20-25 minutes, or until tender and lightly browned and crisped. To a food processor add roasted cauliflower and garlic, chickpeas, tahini, lemon juice, olive oil, and a sprinkle of sea salt and black pepper. 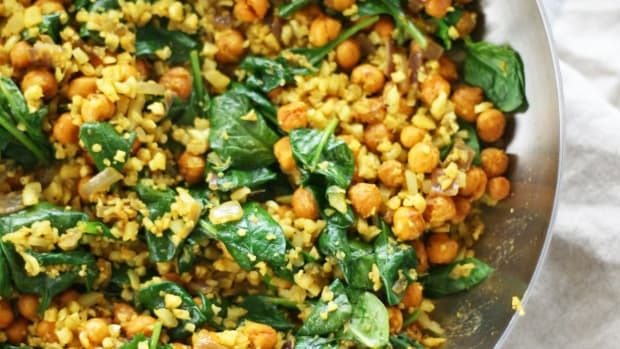 Pulse for 20-40 seconds, or until mixture is broken down, combined, and to a texture of your liking. For a thicker hummus, pulse mixture less. 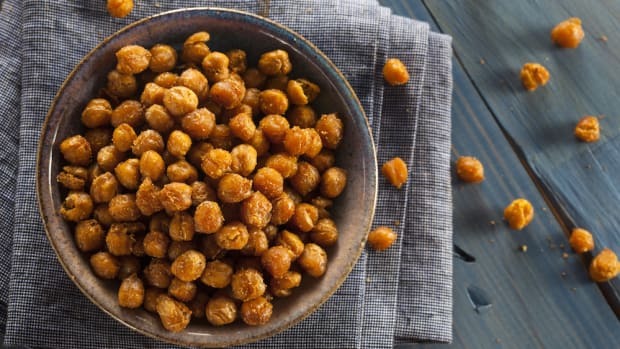 Scoop hummus into a bowl and garnish with a drizzle of olive oil, chickpeas, and parsley, if desired. Enjoy! Leftover hummus will keep in an airtight container in the refrigerator for 4-5 days.